Freebies sweet oo☺ especially when it is a smartphone. This is what is trending on Twitter right now. It is simple. Go to Twitter and search for @John Chen, (note that his account has the twitter verification icon. So you won't mistake his account to a fake account). Follow him. 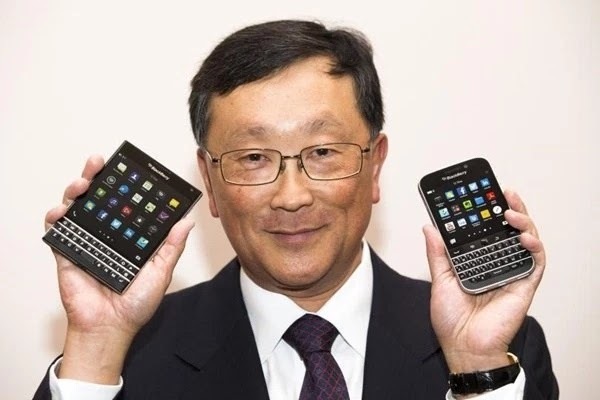 The next thing is to just tweet him with how BlackBerry helps your lives every day. A lucky winner will be picked and dashed a new Blackberry device. 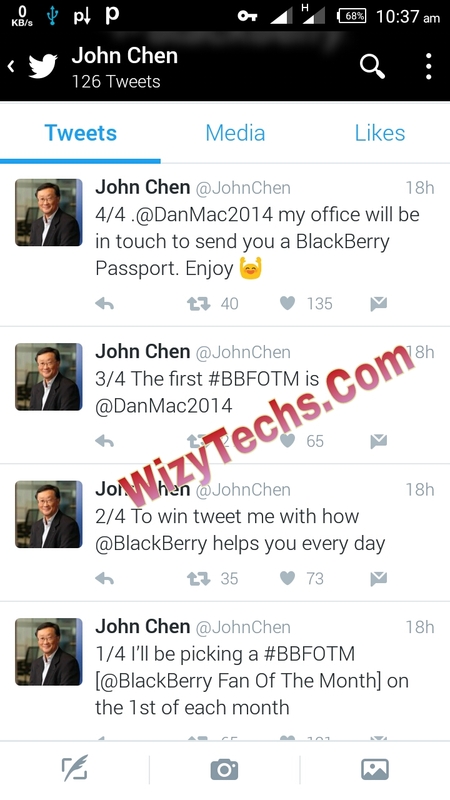 Someone has already won a Blackberry Passport device this month as you can see from the twitter screenshots i took via his Twitter handle. What are you still waiting for? 😁 You might be the next lucky winner.